The HP DreamColor Z32x is a premium professional display for designers who look for a combo of precise hues and an extra sharp resolution. 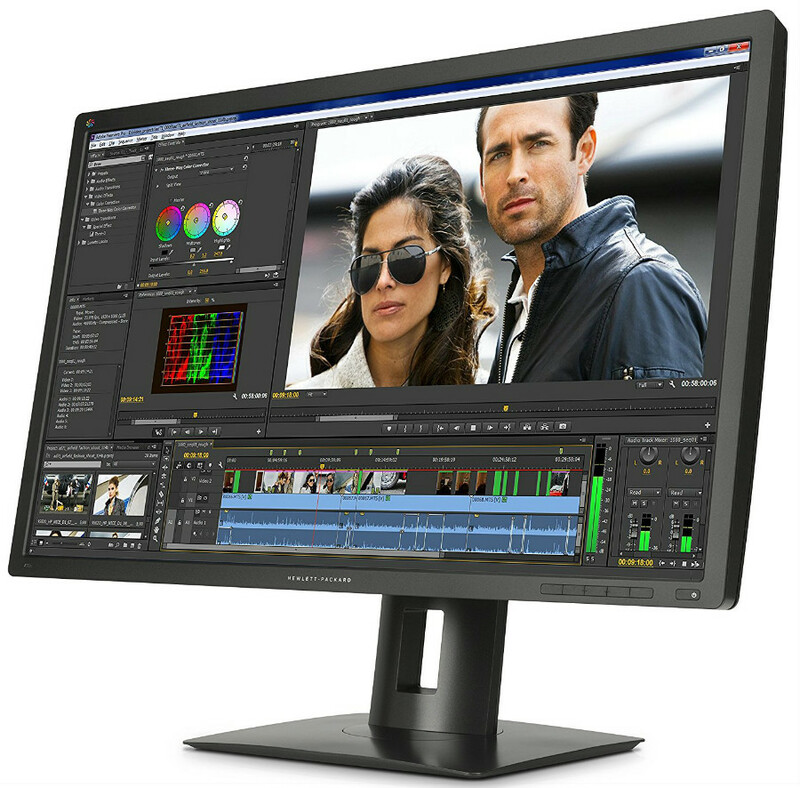 At a glance, this product seems like it is all about business, although the 32-inch 4K screen is always attractive for gamers who are looking for the extra oomph in graphics. With qualities and features that don’t mess around, we have little reason to doubt that this is a great tool for your creative work unless we see otherwise. The HP DreamColor Z32x oozes professional finesse with its basic, but functional design. The bezels are more or less an inch thicker which most would dislike, but it doesn’t distract that much because of the screen size. The plain matte black finish isn’t flashy or stylish, but it does help prevent unwanted build-up which often makes maintaining a hassle. The exterior is mostly made of plastic, but the craftsmanship is top notch. Everything is assembled tight so you can’t find flexing or creaking even if force is applied to adjust the posture. The gently arching stand is minimalist as well, but we like that it completes the utilitarian look HP is imbuing into most of its monitors. This model wouldn’t look out of place in any business-oriented environment, except for its dominating size. The thin square base may not look like much, but it does provide solid sturdiness we require from monitors of this size. The armature for the HP DreamColor Z32x’s stand provides height, tilt, swivel and pivot adjustments, so you won’t have a problem setting a perfect fit for your anthropometrics. You can remove this part and use HP’s separate mounting bracket if stands aren’t your thing so that you can use VESA standard accessories. The cable tidy hole on the neck is wide enough to allow all the wires you can connect to this monitor, including those for peripherals. As expected from a sophisticated professional display, the HP DreamColor Z32x is rich in connectivity features. The I/O layout includes DisplayPort 1.2, a Mini DP 1.2, HDMI 1.4 and 2.0, plus four USB 3.0 ports for peripherals. Two of the USB receptacles are found on the back, while the others are accessible behind the left bezel. There is a 3.5mm audio jack included here, but there are no speakers. You can, however, use this slot for HP’s LCD speaker bar which attaches to the bottom bezel. The bad news is you have to shell out extra cash for minor accessories such these. The HP DreamColor Z32x boasts a 32-inch IPS panel with a 3840 x 2160 4K resolution, 60Hz refresh rate, and 8ms response time. Out of the box, the screen can produce 96% of the sRGB gamut and 92% of the Adobe RGB with a Delta E of .9. These coverage numbers are slightly less than we expect to see, but the gamma curve sits perfectly at 2.2. Combined with the low error threshold, images are lifelike and accurate even without calibration. Just like the Samsung U32D970Q, contrast is middling at 520:1 at 50% brightness. Even if gamma sits at 2.2, some blacks and grays might appear bland or a shade too light for most tastes, although, we can’t rate it as a failure in this regard. Images and designs that require color-critical performance still look fantastic with enough pop we can all appreciate, and it would be too neurotic to look for minor discrepancies that you otherwise wouldn’t notice. There is little you can do to improve these numbers, but even so, the screen has plenty of vibrancy and saturation for pictures and artwork to come alive. The included OSD is feature-packed with options to improve the overall quality of the HP DreamColor Z32x, and they are readily available via the tactile, front facing OSD buttons. You can select from filters including sRGB, AdobeRGB, and BT.709, plus you can also scaling and sharpness if you so desire. The downside, however, is that you miss important settings such as Gamma and color temperature. You can only access these important options if you purchase the HP DreamColor Calibration Kit or an aftermarket device like the X-Rite i1Display Pro. This fact is the biggest bummer for the HP DreamColor Z32x since these gadgets would cost an extra chunk of cash to the already premium grade cost of ownership. Of course, you can’t expect the HP DreamColor Z32x to have gaming pedigree because it is a dedicated professional display. It’s a shame because the panel’s output would sit well with titles that have enhanced environments or ambiances. This device limited by a few things in that regard, primarily by its slow pixel transition of 8ms. This limitation induces noticeable interlacing and ghosting, both of which are solved by selecting a faster model dedicated to gaming. Input lag was acceptable for casual sessions, but you can notice delays if you are used to faster, bleeding-edge monitors. The Samsung U32D970Q is a bit slower according to our feel, but the difference isn’t marginal enough to recommend this product over the other if you have plans of gaming on them. A 32-inch 4K monitor is indeed enticing for our favorite hobby, but sadly, you can’t enjoy buttery smooth graphics because this model does not support FreeSync or G-Sync. 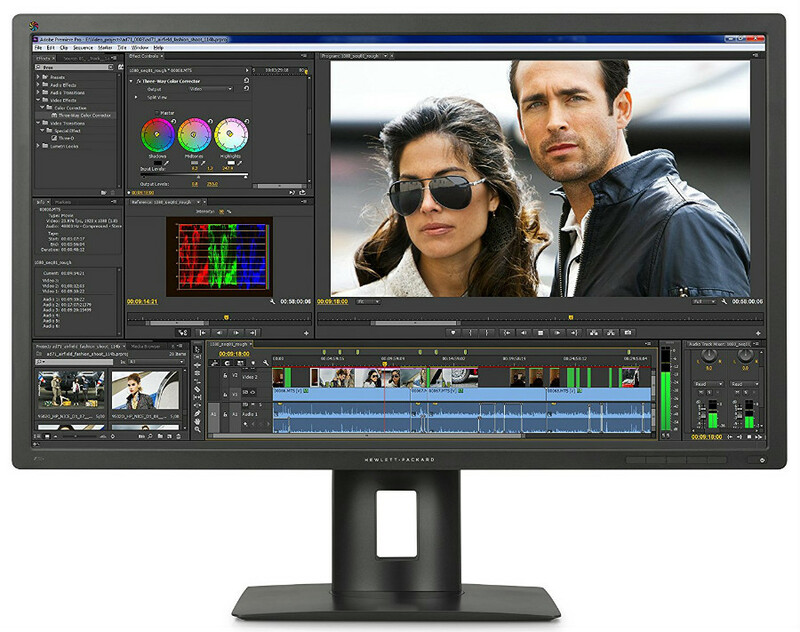 The HP DreamColor Z32x is an excellent professional monitor if you consider its implementation, build quality, and broad capabilities for color-critical work. It does have minor limitations such as slightly lower gamut coverages, but the real deal breaker for us here is its reliance on accessories. To get the most out of this model’s impressive specs, you need to fork out a few more bucks to buy the adapter, speakers, and most importantly, the calibrator. If you total the cost of everything, the amount could more or less cover a purchase of a newer model like the smaller, but more sophisticated Dell UP2715K. 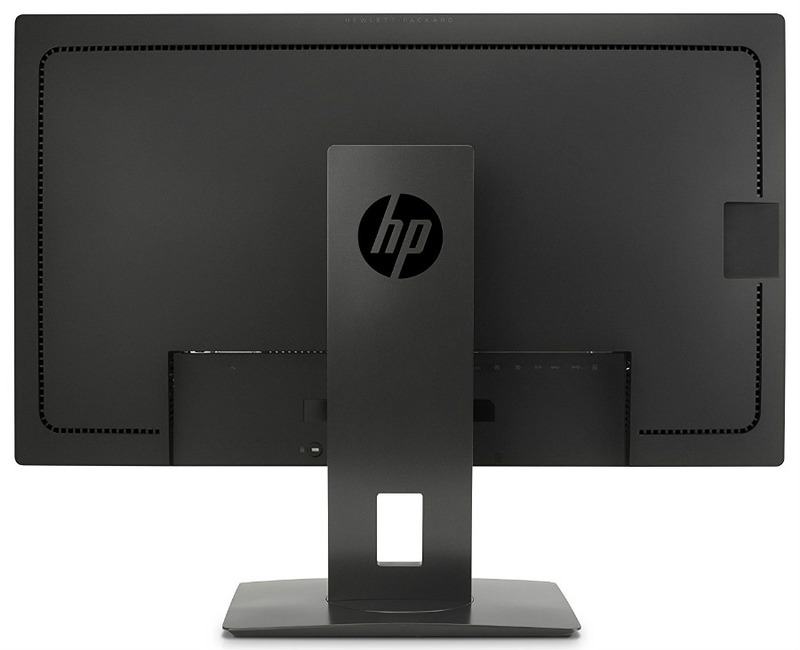 These misgivings don’t deter us from saying that the HP DreamColor Z32x is a good overall designer monitor. Some models beat it in some aspects, but it should be able to outshine its competition if you are properly equipped for it. Buying it at a lower price would be ideal, so you have the extra to spend on a calibrator which has its many uses if you upgrade displays quite often.